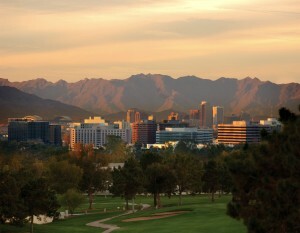 To elope in Phoenix means to get married today or tomorrow. We serve by appointment only for everyone’s privacy. You decide! Elope at our place or yours. Our Place? 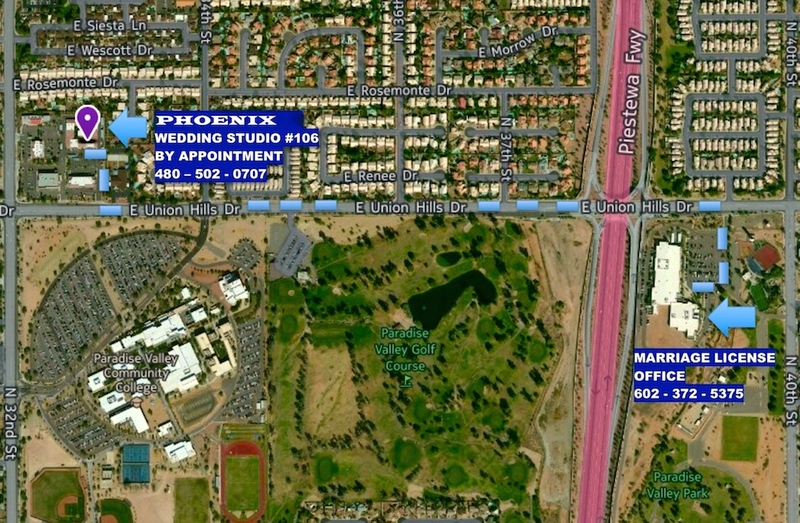 Phoenix Wedding Studio from just $100. Directions are below. Your Place? We can come to your valley location to perform the ceremony today or tomorrow from $160. If you are planning to be married further in advance of today or tomorrow, you may schedule a minister/wedding officiant for your future wedding date with Arizona Ministers: Click here. You can elope in our Phoenix Wedding Studio. Our attire is resort casual, but you can come as you are. We are delighted to perform a brief wedding in Phoenix (civil or religious) to expedite the paperwork to get you married. If you would like to elope in another Arizona location, no problem: Click here. Here are the 3 easy steps to elope in Phoenix today or tomorrow! 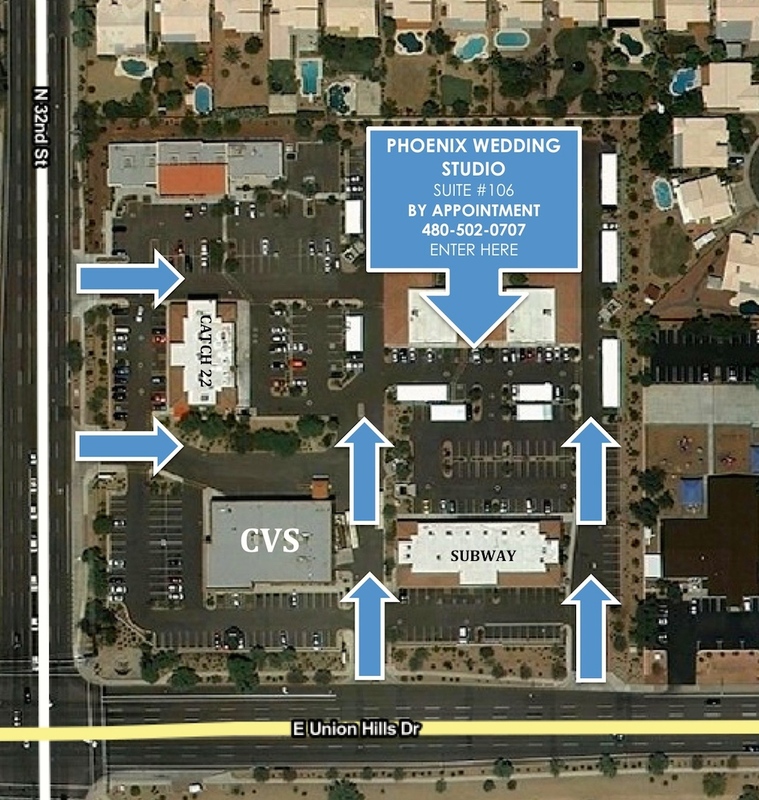 marriage license office near our Phoenix Wedding Studio: Click here. Advice: A certified copy of the license is needed to change a name at Social Security and Motor Vehicles. Pre-pay for the certified copy when you buy the license and they mail it to you automatically. Certified copies are believed to be free for individuals in active military. 2. WITNESSES. Select two people age 18 (or older) to come with you to sign the marriage license as legal witnesses. 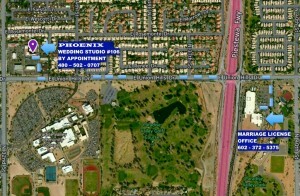 (If you do not have witnesses we can provide them only at Phoenix Wedding Studio for $30 each). In some cases, witnesses may be obtained at hotels, resorts and some public places. 3. CALL US. We can schedule your elopement wedding today or tomorrow! 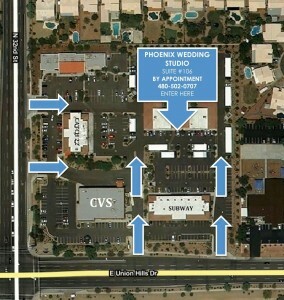 Our fee at Phoenix Wedding Studio is $100 for the couple and your 2 witnesses attending (age 18 or over). If you have more than 2 people attending the elopement with you (3, up to a maximum of 10 more men, women or children), the fee is $160. We can also come perform the ceremony for you at your valley location from $160. Any number of people may attend. This isn’t just a fast, affordable wedding, but our way of helping you be married today. You can get married now without all the stress and expense of planning a big wedding in Phoenix. Because our schedule can be full, these services are always offered upon our availability. If you wish to schedule us for a future date, please call. Please notice: We serve by appointment only for everyone’s privacy. Don’t forget to buy and bring your marriage license. Instead of spending a lot of time and money planning a big wedding ceremony and reception, an elopement can expedite the marriage process. “To elope” means to literally run away with your partner. Eloping is customarily used to refer to a marriage performed in a sudden and secretive fashion. One’s parents or the church once required permission before getting married. Sometimes it was announced publicly to see if anyone might object. One thing about an elopement — Arizona Wedding Law does not require anyone to give permission to marry (unless one or both partners is a child). We only marry partners age 18 or older. An “elopement” is a wedding conducted on short notice and without rigid rules. Many do not care about big affairs and some people cannot afford an expensive wedding celebration. An elopement in Phoenix is a perfect way to celebrate your marriage. This is a link to an interesting elopement article in The New York Times. 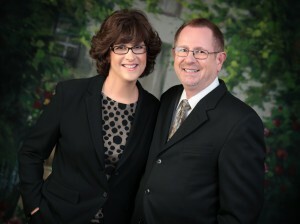 Presented by Arizona Ministers | Free Information: to Elope in Phoenix.